It can be a challenge to keep up with changing technology – but mastering these skills can make you an invaluable investigator. This eBook explores ways to overcome those learning hurdles, how Peelian principles still apply in a digital world and how police can use data and technology to solve crimes, as well as best practices for your personal social media use. Read on to learn more about how technical acumen is a critical skill that can help advance your career in policing. James Dudley is a 32-year veteran of the San Francisco Police Department, where he retired as deputy chief of the patrol bureau. He has a master’s degree in criminology and social ecology from the University of California at Irvine. He is currently a member of the criminal justice faculty at San Francisco State University, consults on organizational assessments for LE agencies and co-hosts the Policing Matters podcast for PoliceOne. Follow the tech developments most meaningful to you to enhance your career. Technology evolves at an ever-increasing pace, and even the geekiest gearhead can have difficulty keeping up. Not keeping up, however, can inhibit your ability to advance yourself and your department. Most of us think of developments like smartphones, drones and driverless cars when we consider modern technology, and it’s important to remember that what fits under that heading is a function of time and relative to recent advancements. It wasn’t so long ago that placing two-way radios in patrol cars was considered cuttingedge technology, and there have been only a couple of generations of cops that had soft body armor available to them. The gear we take for granted today was once scoffed at by someone who thought it would be a passing fad. Technology has fully permeated police work. You’re not just expected to have a mobile phone – your agency may issue you a smartphone and prescribe how it may be used. Citizens expect, often unrealistically, to have a high-tech crime scene van roll up to process the scene of the simplest theft. A straightforward process like issuing traffic or parking tickets is now more likely to involve a tablet and printer than a pad of paper forms. And investigations often involve reaching out on social media before – or even instead of – hitting the streets. Given the incredible impact that social media such as Facebook and Twitter have had on society, it seems impossible that these resources didn’t exist only 15 years ago. In 2004, “the Facebook” website launched as a networking tool for Harvard students, and the first tweet was sent in July 2006. Many, if not most, people wrote these services off as trendy entertainment with a short shelf life, but today they’re communications conduits for everyone from police agencies to the president of the United States. With the rise of social media, it suddenly became possible to reconnect with high school and Army buddies without an awkward letter or email. You could even bring everyone up to speed on the minutiae of your day, from what you had for lunch to the TV show you watched (stay away from spoilers!). Social media has become a big asset to crime fighting as well. Many people won’t remember the face of a robbery suspect that was shown for eight seconds on last night’s TV news, but when they see a photo of the suspect that the investigating agency’s social media manager posted to Facebook, they start to think about how much that photo looks like their neighbor’s kid. It’s also a great place for investigators to suss out suspects’ known associates, as well as for departments to publicize the good work done in small cases that wouldn’t make the local news outlets. Clearly, technology skills are valuable – but it can be a challenge to keep up. Finding meaningful, personal value is the key to staying current with technology. If you simply learn how to work your smartphone or program your wearable fitness monitor, you’ll probably get bored. If you take it a step further and are competing with a friend to walk a minimum number of steps each day, you’ll have a goal and find a way to reach it. My policing days started when reports were mostly handwritten. Cutting-edge technology was an electric typewriter. Then personal computers with word processors came along, and as a novice writer, I was hooked. It’s all relative, but it’s important to stay informed when it comes to useful technology. For many, it’s not the tech itself that appeals as much as the tasks or processes the new tools can perform. When other officers asked me to teach them how to use WordPerfect, the word processor available to us at that time, I’d try to get them to identify a project they wanted to complete. One wanted to create and sort a list of his firearms collection. Another wanted to organize her book of cake recipes. They learned to use the word processor by completing the projects that were meaningful and fun for them. Another way to better understand a technology is to seek out a group of experts or a website or publication. For example, consumer-grade video cameras for mounting in cars – dashcams – are fairly new on the market, but there are many enthusiast websites where you can read reviews, get installation tips and learn hacks that aren’t in the owners’ manuals. When I wanted to learn how to do a complete disassembly of my Glock pistol for a thorough cleaning, I found multiple step-by-step howto videos on YouTube. You can learn how to do almost anything on YouTube, although the quality of the information tends to vary based on the experience and knowledge of the poster. You don’t have to become an expert in a technology to discuss it intelligently. You can start by learning about the terminology related to that technology. Then you can start to identify the differences in specifications of idea which questions you should ask a salesperson or vendor. For example, few of us know how to service the portable police radios most officers carry, but we know some information about UHF and VHF frequencies, encryption methods and how radio energy propagates differently in a city vs. a rural environment. If some of these topics are unclear, it might benefit you to take your radio tech to lunch and get him or her to talk shop. up. Ask how you can get more involved in your agency’s social media or tech acquisition projects. There’s leadership not only in teaching, but also in learning. Organizations that fail to adapt become obsolete. Read a few tech blogs. Use your commute to listen to podcasts. Don’t allow yourself to be passed over or left behind on the job because you failed to keep up. HOW CAN WORKING WITH TECHNOLOGY GIVE YOUR CAREER A BOOST? Use technology to enhance communication with the public and promote transparency, as well as to predict, fight and solve crimes. 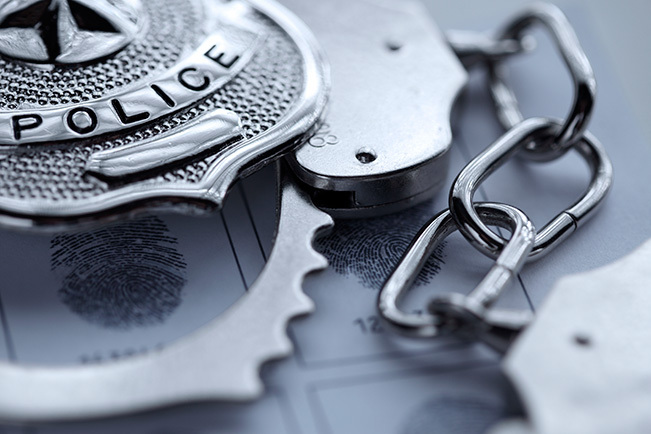 Sir Robert Peel formulated his nine principles of police work nearly two centuries ago, but these ideas are still a major influence on law enforcement today. How can we apply these 200-year-old concepts to a changing world, where so much police work is done online or by crunching data? As Great Britain’s Home Secretary in the 1820s, Peel took charge of a nation without any established police forces. Peel, who formed the London Metropolitan Police Force of 1,000 men in 1829, is often referred to as the “Father of Modern Policing.” His Nine Principles of Law Enforcement remain in use today as guidelines for modern police forces across the globe. Although Peel could not have predicted the technology available to police in the 21st century, many of his principles can still be applied to modern law enforcement. Police chiefs must balance the mission to protect and serve with administrative realities and budget constraints. Emerging technologies are increasingly available to help police prevent crime, such as facial recognition, license plate readers and realtime video feeds with analytics to highlight or even predict suspicious behavior. These tools can be force multipliers, helping departments do more with less. DNA database access may be the most fruitful technology tool since the discovery of the fingerprint in helping to solve cold-case investigations. 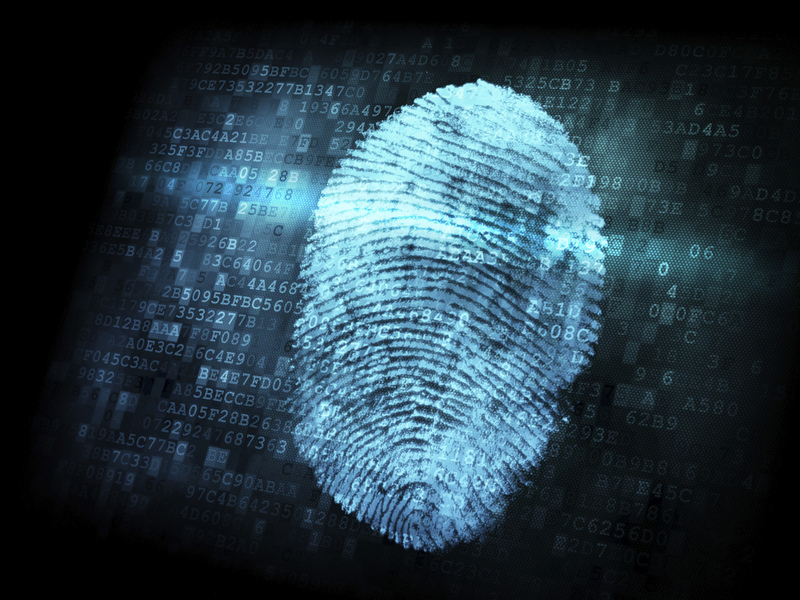 While courts have decided that only select offenders must submit their DNA samples for crime databases, open-source public genealogy profiles have been used to solve heinous serial crimes such as those attributed to the Golden State Killer. 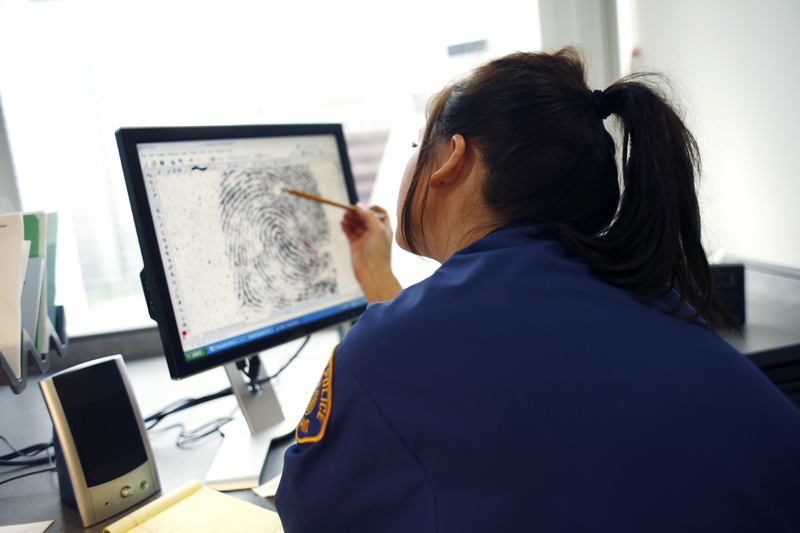 Crime mapping systems, such as CompStat, compile data to show when and where crime occurs. This information can be used to predict patterns and crime trends, to help agencies manage distribution of personnel and can assist in the creation of hot-spot enforcement plans for days and times of deployment. CompStat is also useful in public outreach and relations to provide transparency in deployment decision-making. These systems can help deflect complaints from community members who might perceive that police are punitively deployed into their community. ShotSpotter, a gunshot detection technology, uses audio listening devices placed on existing power poles in areas where patterns have shown that the discharge of firearms is likely. 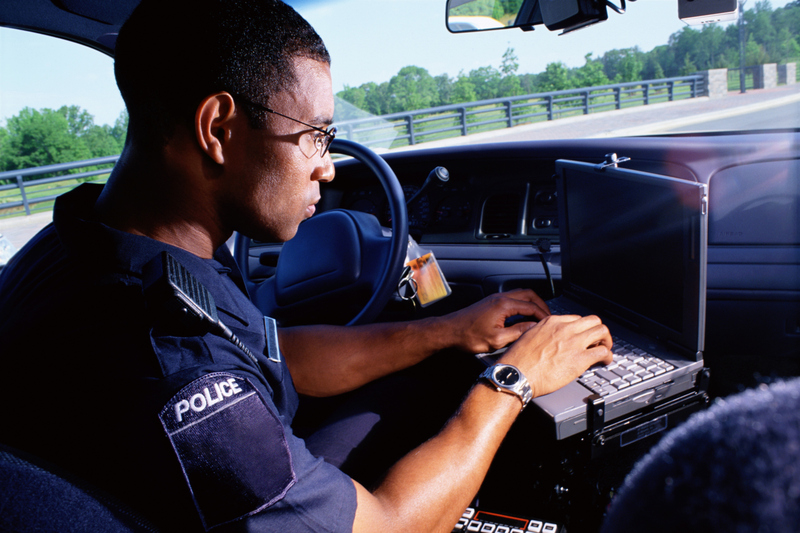 A real-time notification to a dispatch center allows communications operators to hear the shot(s) and immediate accompanying sounds, such as car or building doors slamming, tires screeching or even shouts or other information, that are useful to responding officers. This is especially helpful in areas where calls to police may be delayed, if they are made at all. Safe and clean communities are indeed a worthy goal of any law enforcement agency, yet absolute absence of crime and disorder is not likely achievable. Using a sports analogy to illustrate this concept, Peel may have envisioned the police officer as a referee in a game, where the participating teams (the public) play, while the referees (police) observe but do not interfere. The referees/police step in only when a rule (law) is broken or indiscretion (crime committed) is observed. Analytical software that parses social media and other digital evidence enables police investigators to use technology to gather and analyze evidence. Artificial intelligence is increasingly used for predictive policing efforts to stop crime before it happens. Police are also using tools such as automatic license plate readers and GPS tags to catch criminals without attention-grabbing and potentially dangerous pursuits. Peel understood that the ability to protect and serve depends on the public’s trust. Law enforcement agencies must communicate with the citizens within their jurisdictions to keep the public informed of crime trends and patterns and to demystify enforcement strategies and actions. Technology can enhance outreach efforts through social media such as email newsletters, real-time alert systems, Amber Alerts and announcements for planned enforcement operations, such as DUI checkpoints or security procedures at large events. Body-worn cameras may be the best use of technology in showing the media and public how incidents build up to the point where force is used in encounters. Use of force policies can be explained to community groups on an ad hoc basis or after a highprofile incident. An officer in a confrontational situation can record the encounter and provide the footage to promote transparency. Video from body or dash cameras is often used to show the public that an officer’s actions were justified. Community policing efforts are necessary to create trust and cooperation with the public to achieve public safety goals. Social media can bring community policing into the hands of citizens and give your agency a public voice. Crime can be reported on smartphones via platforms such as NextDoor, Facebook, Twitter and others, with a caveat: Reports are not real-time and are not routed to law enforcement databases for statistics and information retrieval. Police personnel must monitor social media to leverage this capability, particularly in the case of a serious crime, pattern or trend. 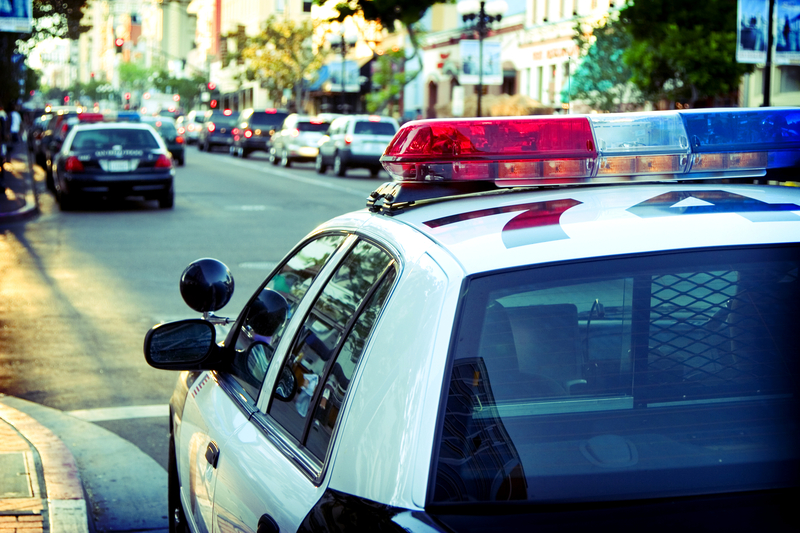 A use-of-force incident can drive a big wedge between the public and the police. Force is violent and can be upsetting, especially when viewed without context. Body-worn camera footage allows police agencies to provide context to the public. the public. Video and a robust social media outreach can help agencies communicate the context of such incidents to promote better public understanding of when force is necessary. officers are following protocol, but an added benefit is that individuals who encounter police with cameras tend to behave better when they know they are being recorded. 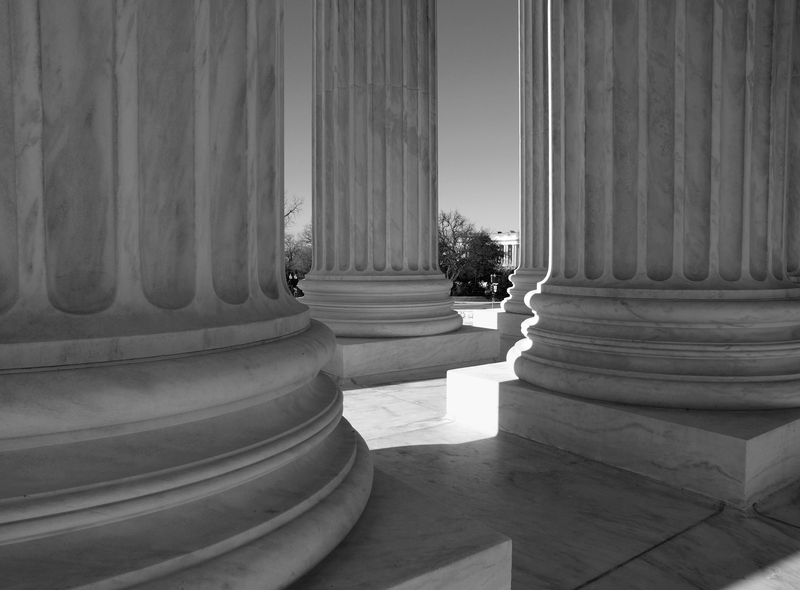 HOW CAN TECHNOLOGY HELP YOUR AGENCY ADHERE TO PEEL’S PRINCIPLES? Law enforcement agencies can approach the new challenges of policing in the digital age through the lens of Peel’s principles. 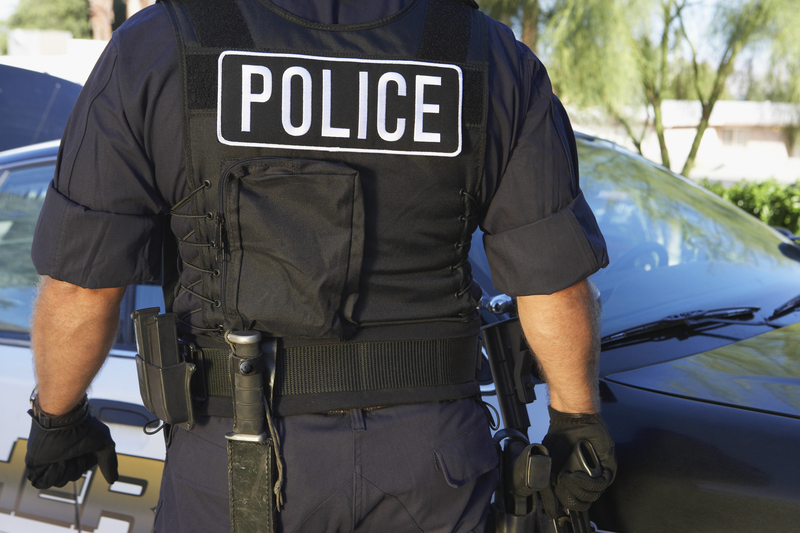 Consider how digital media engagement, body-worn cameras, analytical tools and other emerging technologies can help your agency better serve your community. It’s important to remember that technological developments have also attracted scrutiny as a method of policing, including concerns from civil libertarians who fear the technology may infringe upon the rights of citizens they are intended to protect. Include stakeholders with varying perspectives when adopting new technologies to ensure that your agency’s use will be efficient, transparent and constitutional. Data from personal devices, GPS can lead the way in investigations. Technology has created new avenues for crime, but it also provides new resources for crime fighters. Inventors seldom create new gadgets to purposefully be used to commit crimes, and they don’t typically intend their products for police use in investigations, either. Just as the crooks have to get creative with their misuse of new technology, law enforcement has to be similarly innovative to keep pace. Fitness trackers are relatively new to the marketplace, but they caught on fast. There were about 29 million wearables sold in 2014. 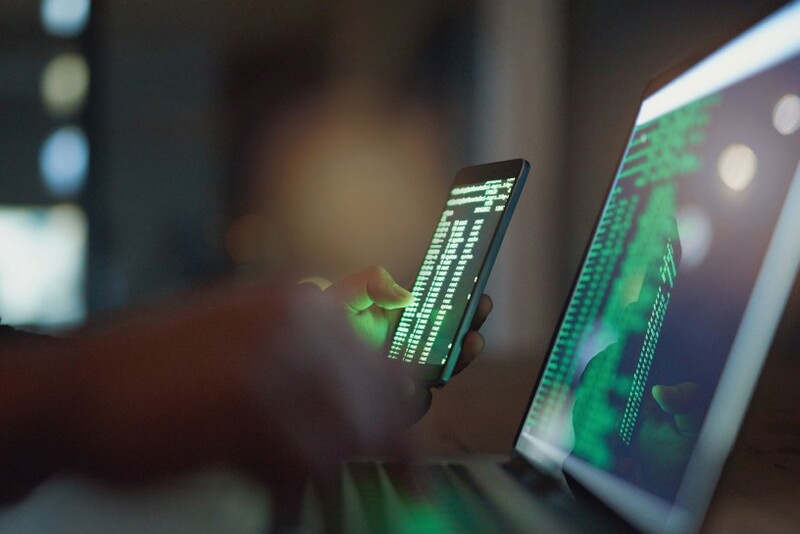 Vendors expect to sell 140 million of these devices in 2019. Fitness trackers, such as the Fitbit, monitor and record the wearer’s location, elevation changes, steps taken, heart rate and other data, which is uploaded to the cloud, usually via wireless connection. Police in Connecticut used data from a Fitbit, along with other evidence, to charge a man with the murder of his wife in 2015. Richard Dabate told police that an intruder broke into his home, tied him to a chair and tortured him with a torch, and shot his wife. When police downloaded the data from the wife’s Fitbit and compared it with online activities logged by Dabate and his wife, they found Dabate’s account was inconsistent with the evidence. Social media has affected the way most of us communicate, especially over long distances. Most social media is a form of asynchronous communication, where we exchange information but not at the same time. For instance, if I post a tweet or a message on my Facebook timeline, others will see and respond to it when it’s convenient for them. By the time another viewer sees the post or comment, it may have been a few minutes, hours or days since I posted it. Communications on social media can provide a false sense of distance or security from consequences and invite brazenness. Officers of the Moses Lake, Washington, PD searched a car they stopped and found a firearm and heroin in the passenger seat, along with paperwork from a woman’s recent stay in jail. The woman had already been released, but the MLPD obtained a warrant for her arrest and posted on their Facebook page that they were looking for her. Photos posted on social media are not only valuable for what they show, but also for what they don’t. Along with the image itself, digital photos often contain EXIF metadata, or Exchangeable Image File data. With photos, this can include the time and date the image was captured, the aperture and shutter speed and even the serial number of the camera used. If the camera is equipped with GPS (as most smartphone cameras are), the image file may also include the geographic coordinates of the device when the picture was taken. the EXIF data from the photo, and the location of his secret lair was revealed. He was arrested by Guatemalan federal police. McAfee’s misfortune can also be a cautionary tale for law enforcement officers, who usually try to keep their private lives private. If you post a photo of your 4-year-old’s backyard birthday party to social media, you might be giving away your home address in the process. Before you upload personal photos, either edit the EXIF data (there are free editors available online) or remove it altogether. Don’t trust the social media platform to do it for you. Even if you’re not a gadget freak, there are probably one or more devices you’d find it hard to live without. This dependence is also true for criminals, and their addiction to their toys can be used to bring them to justice if the police use a little creativity. Depending on how you use it, social media can be a blessing or a curse. While you can see photos of your sister’s kids halfway across the country, post pictures of the Blue Santa toy drive – or discern a suspect’s known associates – it can also be easy to make a wrong turn and find yourself in a lot of trouble. Facebook and other social media platforms can be a goldmine for community relations and investigations, but be careful how you use your personal account. Here are 10 do’s and don’ts to help you successfully manage your personal social media use. 1. DO GUARD YOUR PRIVACY: Bad actors can use Facebook, Twitter and other social media as a tool to find people and information just like we do. Be cautious posting personal information and photos. Many officers don’t post pictures of family members for safety. Be sure to use the privacy settings on each platform so that only known family and friends can see your activity. 2. DO CHOOSE YOUR PROFILE PICTURE CAREFULLY: Put your best face forward with a professional headshot or a photo that presents you positively. This should go without saying, but no nudes. No photos half-dressed in your uniform, either. 3. DO WATCH YOUR COMMENTS: Anything you say online can and will be used against you. One of the quickest ways to go viral and get yourself in hot water is to make racist, sexist or homophobic comments, or comments that suggest you enjoy using force. Not only is it unprofessional, a defense attorney who discovers such comments can use them against you in court. 4. DON'T POST WHILE ON DUTY: Just as folks with office jobs are advised not to use their company computer or post during work hours, it’s not smart to use your agency’s smartphone or computer for personal use. Save your tweets and status updates for when you’re off duty. 5. DON'T SPILL THE BEANS: As a sworn law enforcement professional, you have a duty to keep sensitive information confidential. Don’t post pictures of car crashes or information about your investigations. 6. DON'T BADMOUTH YOUR AGENCY: Even if you have a legitimate grievance against your department or supervisor, social media is not the place to air it. Doing so could get you disciplined or even fired. It looks bad to potential future employers as well. 7. DON'T POST YOUR VICES: Avoid posting photos that show drugs or alcohol, especially if there are underage people in the images. It’s OK to have a good time with friends and family over a beer, but be sure you project a professional image online. 8. DO BE CAREFUL WITH GUN PHOTOS: Firearms are important tools for law enforcement, but take care not to post images that could be perceived as threatening, such as aiming the gun at the camera. A photo of you training at the gun range is OK, but posing with weapons can be problematic (see No.3). 9. DO HIGHLIGHT YOUR ACCOMPLISHMENTS: Your social media presence can be viewed as your electronic resume. Be sure to share your personal and professional successes. 10. WHEN IN DOUBT, LEAVE IT OUT: pretend your mother or supervisor is reading every post. If you think either of them might have an issue with what you’re posting, it’s probably not a good idea to share it on social media. Police officers are held to a higher standard than civilians, and misuse of social media can get you fired. Remember – you control what you share. Follow the tips above to enjoy posting online without endangering your career, your life or your loved ones. It's more than a degree, it's a career enhancement. Earn a degree that can help you move up in rank or take your career in a new direction. You can combine your training and prior education with our practical curriculum to complete your bachelor’s degree online with Norwich University. 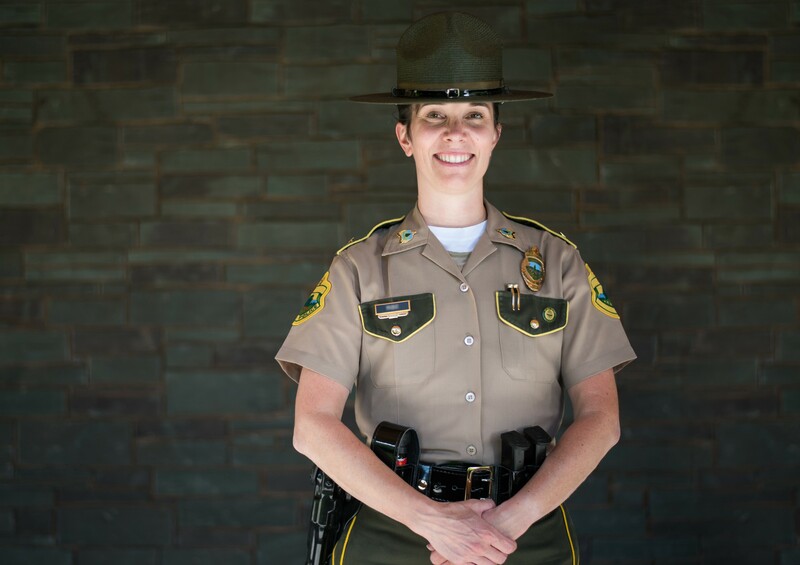 "There's pride and tradition that comes with having a Norwich University diploma." CCGS criminal justice alumna Julie Scribner said. "I wanted something that I could be proud to hang up in my office, and that's a Norwich University diploma."